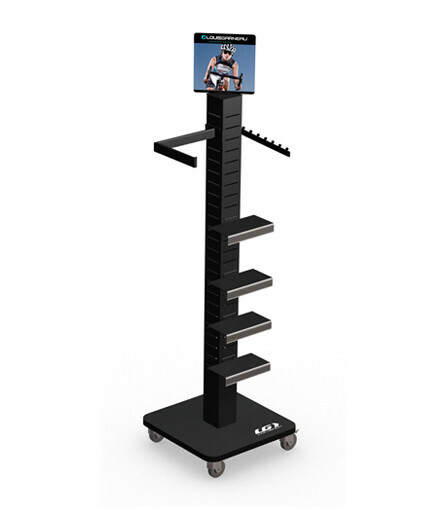 Mobile merchandiser designed to showcase Louis Garneau’s footwear collection. 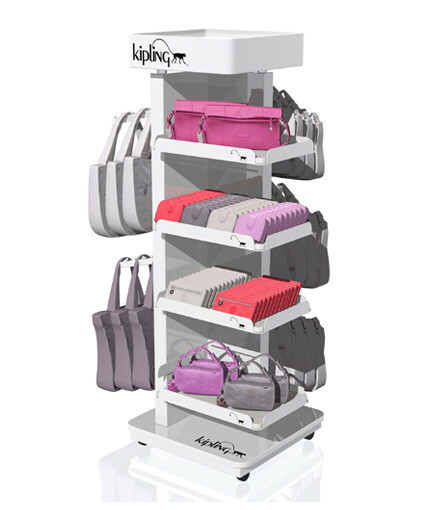 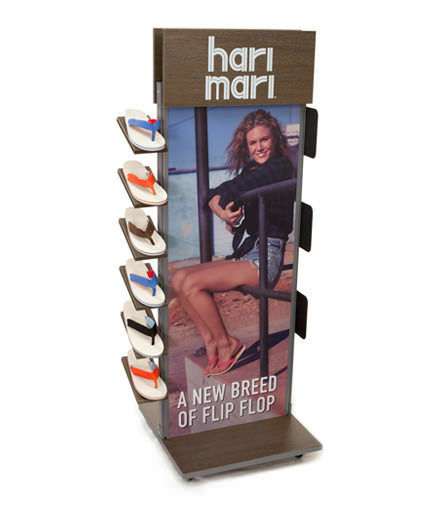 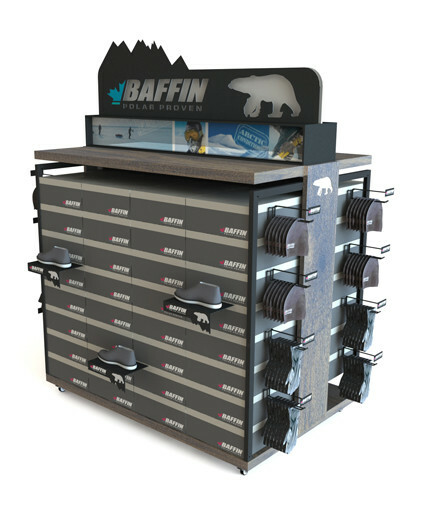 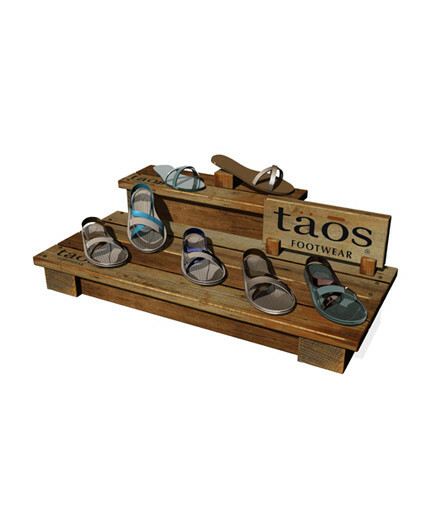 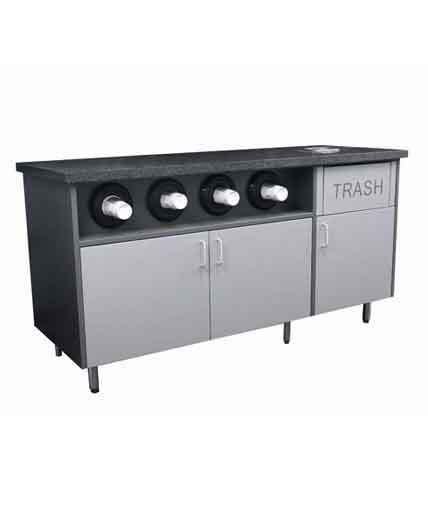 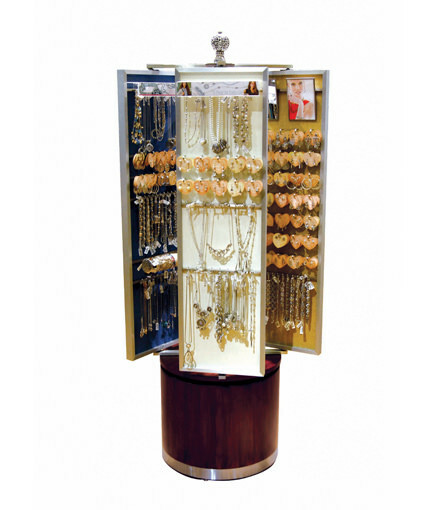 Designed for maximum impact in a small footprint, this display features a sheet metal center post, shoe shelves, an MDF base with casters, and header graphics. 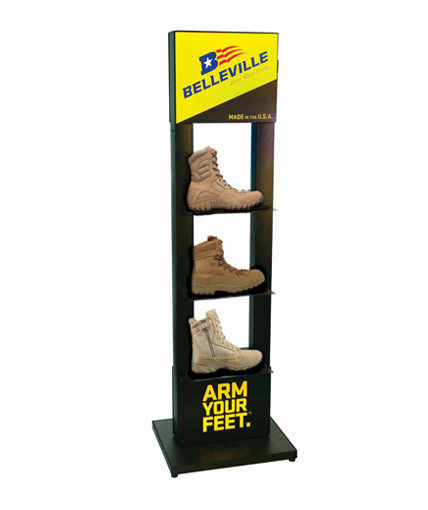 Category: Uncategorized Tags: Apparel Displays, Custom POP Displays, Custom Retail Displays, Multi-Product Retail Display, point of purchase display Brand: Belleville Boot.